The island-wide beach replenishment project is ready to resume following more than a week of foul weather and a repair issue that sent dredge boats into port. Toms River Township officials said Thursday night that work in Ortley Beach was expected to resume “as early as tomorrow,” meaning Friday, and work in the north beaches (Ocean Beach, Normandy Beach and adjacent communities) was due to begin in two to three weeks. 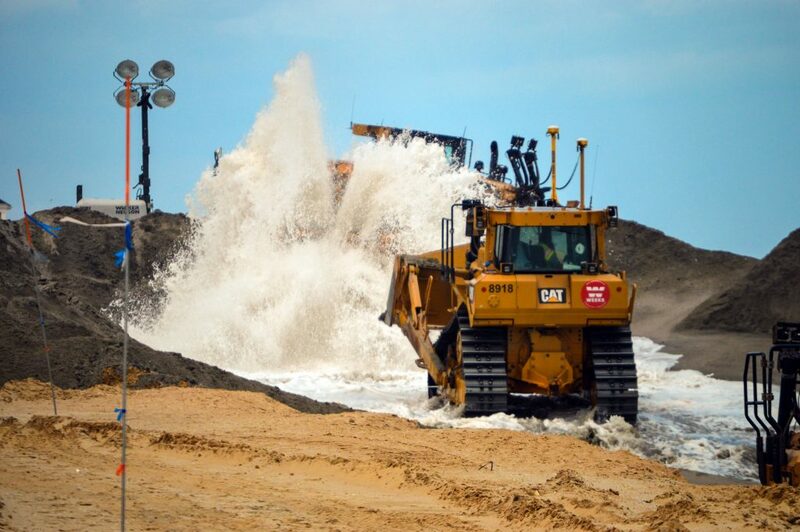 Over the next few days, it is expected that crews from Weeks Marine, the federal government’s contractor on the project, will begin hauling equipment into the North Beaches section to prepare for the beachfill operations to begin. In Ortley Beach, the dredge boat EW Ellefsen has been in port for repairs. In the North Beaches project, the plan is to make a pipe landing between East Pompano Way and East Sandpiper Way and first pump north to the border with Brick Township – where work has already been completed – before flipping and pumping south. The work is scheduled to last into December, however future delays could extend the project into 2019.